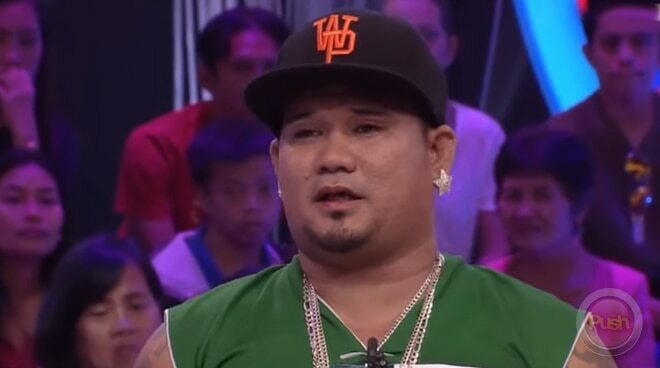 The 39-year-old Internet sensation, who shot to fame for his viral “eagle dance”, was overwhelmed with emotions as a profile reel brought him back to his humble beginnings as a night bar dancer. Social media sensation Dante Gulapa cried tears of joy during his guest appearance in the afternoon game show Minute to Win It on Tuesday. Dante, who shot to fame for his viral “eagle dance”, was overwhelmed with emotions as a profile reel brought him back to his humble beginnings as a night bar dancer. “17 years old noong natuto akong magsayaw sa bar. Tapos, nandoon na ‘yung nalulong na ako sa bisyo [at] nabaon ako sa utang. Noong na-raid ‘yung bar namin, doon ako nagsimulang mag-stop,” he began, adding that the incident served as his much-needed wake-up call to fix himself. Talking to host Luis Manzano, Dante said that he’s incredibly thankful for his second chance at life – one that he had constantly prayed for after hitting rock bottom. “Sobrang saya lang po, dahil dininig ng Panginoon ‘yung mga gusto kong mangyari sa buhay ko – ang pangalawang pagkakataon na maayos ko ang pamilya ko,” he added.